Coffee House Press, 9781566895095, 120pp. Not Here is a flight plan for escape and a map for navigating home; a queer Vietnamese American body in confrontation with whiteness, trauma, family, and nostalgia; and a big beating heart of a book. 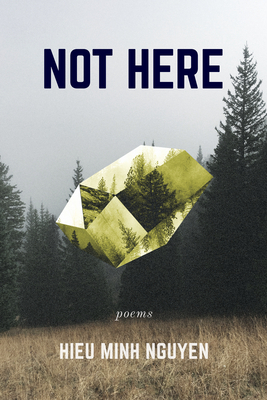 Nguyen's poems ache with loneliness and desire and the giddy terrors of allowing yourself to hope for love, and revel in moments of connection achieved. Hieu Minh Nguyen was born in 1991, a child of Vietnamese immigrants, his debut collection of poetry, This Way to the Sugar, was a finalist for both the MN Book Awards and the Lambda Literary Awards. Nguyen has received awards and fellowships from the National Endowment for the Arts, Kundiman, the Vermont Studio Center, the Minnesota State Arts Board, and the Loft Literary Center. His poems have appeared in Poetry, The Offing, BuzzFeed, The Academy of American Poets, and elsewhere. He lives in Minneapolis.